Robometricschool. - Maybe you will not again foreign with NI Multisim that formerly known as Electronic Workbench. NI Multisim is the the ultimate environment for designing electronic circuits and performing SPICE simulation. 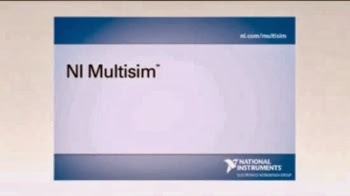 So in here when you use the NI Multisim you will get power and ease of use when designing electronic circuits. In this time beside we will to introduce you global information about NI Multisim as electronic software design and simulation, we also will give you link to take Free Download Electronic Workbench NI Multisim Education Version 12.0.1 for Windows XP from Robometricschool here. NI Multisim you can design an electronic circuit from scratch. You'll have all types of components at hand, allowing you to simulate and analyze operations in each section. As this is the Education edition, it's specifically designed with the needs of educators in mind.